After realizing the presence of a fort named Udayagiri at about 11 km from Duttalur, we went ahead to explore the place. Lovely winding roads leads us to Udayagiri, a hill fort, situated at 950 m above Main sea level. Within minutes of our realizing that it would take us more time to trek up to the fort, a few tall Rajagopuras in Udayagiri town caught our attention. History of the Fort - The fort was built by Gajapathis during the14th Century. 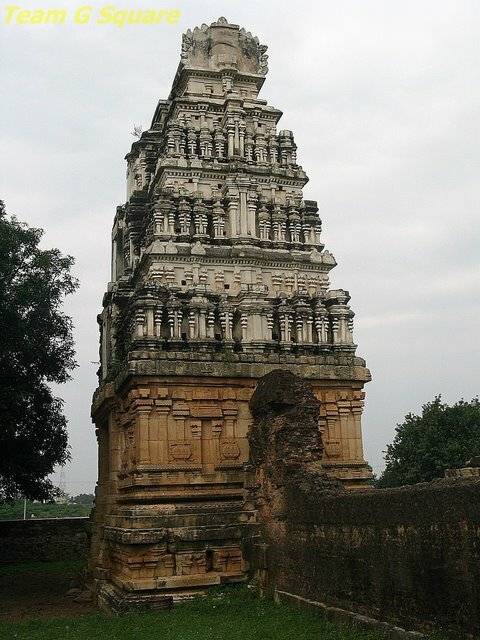 In the year 1512, Krishnadevaraya of Vijayanagar Kingdom attacked this fort while the battle lasted for about 18 months. 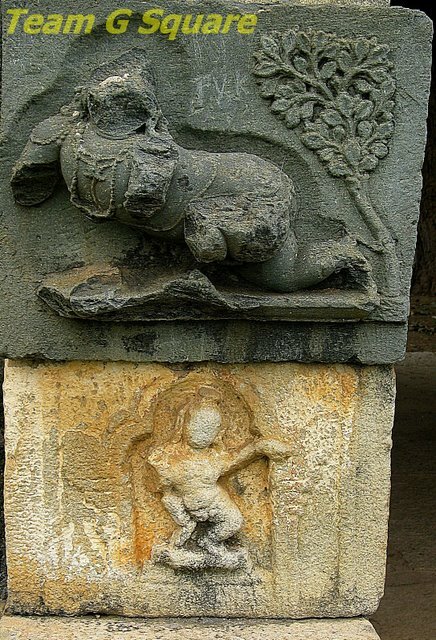 After Krishnadevaraya's army defeated the Gajapathis and captured the fort, the Gajapathis offered a peace treaty by asking Krishnadevaraya to marry their princess Jaganmohini (Badradevi) . Later, the Nawabs of Golconda occupied this fort. Today it is pile of ruins. 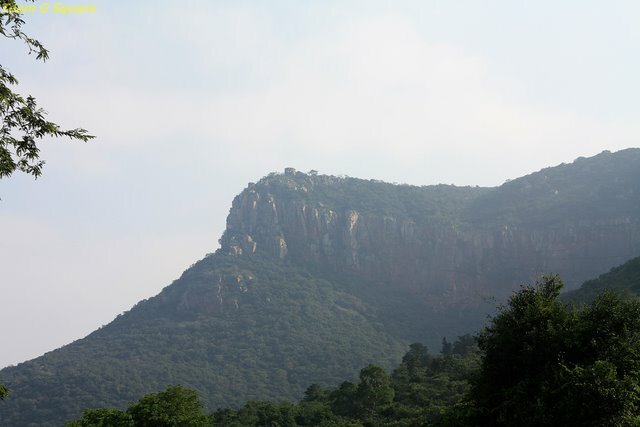 One has to trek about 12 km to reach the fort. 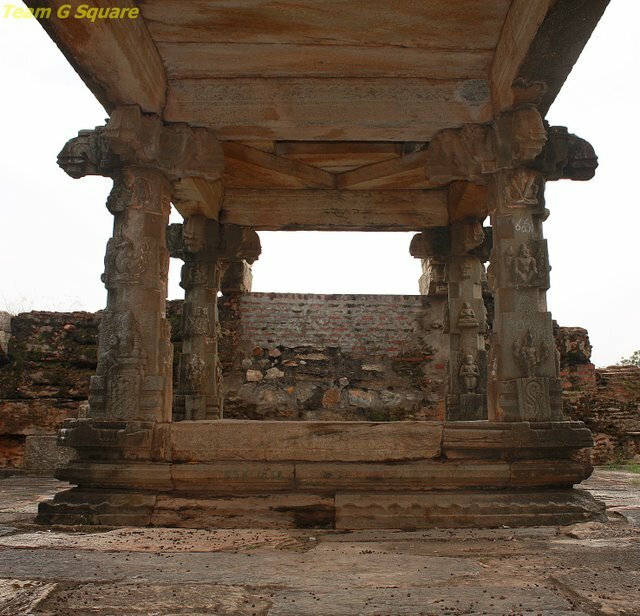 The Grand Royal Wedding - A grand Kalyana Mandapa/ Paruveta Mandapam was constructed in the Udayagiri town at the orders of Krishnadevaraya. The place was decked up beautifully for the wedding of Krishnadevaraya and Princess Jaganmohini. 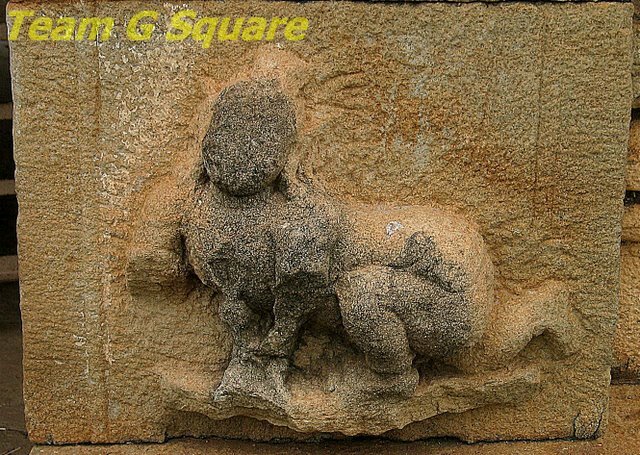 A lovely Rajagopura welcomed us at the entrance, while the pillared Kalyana Mantapa with intricate carvings is present inside the compound. 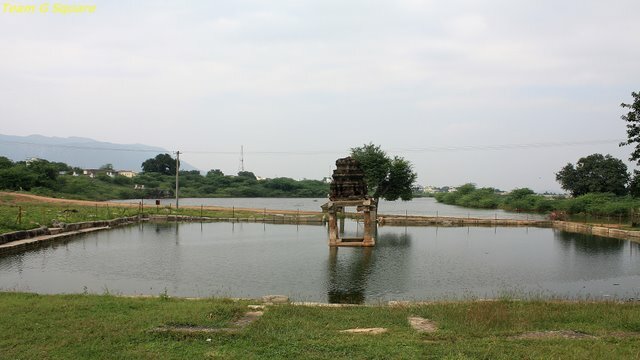 There is a huge Kalyani in front of the Rajagopura. The ASI and the Andhra Pradesh Govt. has done a decent job in restoring the place, though there is a lack of maintenance. 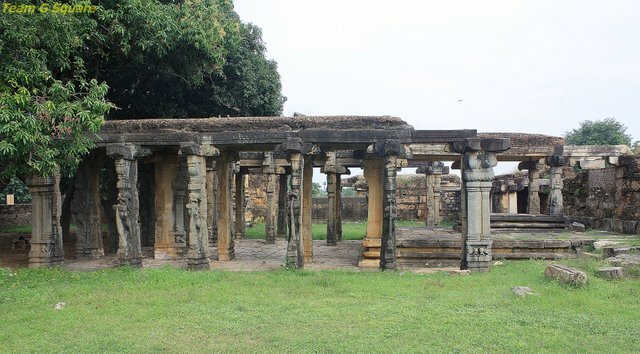 Udayagiri houses the ruins of more than 300 temples built during the reign of different kingdoms, though most of them were re-built or improved further by the Vijayanagar Kings. Another fascinating post, wonderful history and superb captures of such lovely places! I do so enjoy the tours you take us on! I also really like your new header and spider web! Beautiful! Hope your week is going well! You may have fallen behind schedule visiting these sites, but they are fascinating. 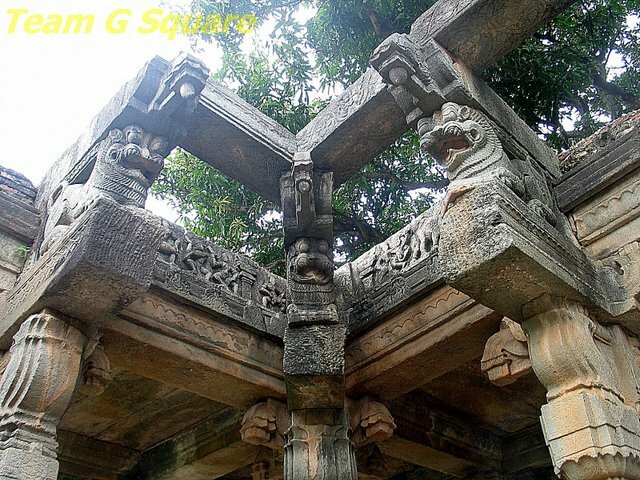 The carvings on the Mantapa are beautiful. amazing information and lovely images! Nice post! There is another places with name Udayagiri in Orissa that Emperor Krishnadevaraya conquered, and he constructed Mahanavami Dibba to celebrate his victory over Udayagiri! 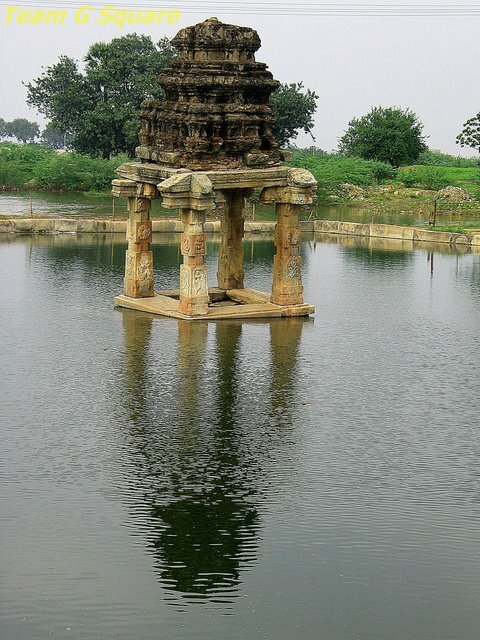 Hampi was the capital city of Vijayanagara Empire and was also called as Vijayanagar! Wonderful place. This is definitely worth exploration. the pictures tell a tale, lovely place and a neat compiled post! 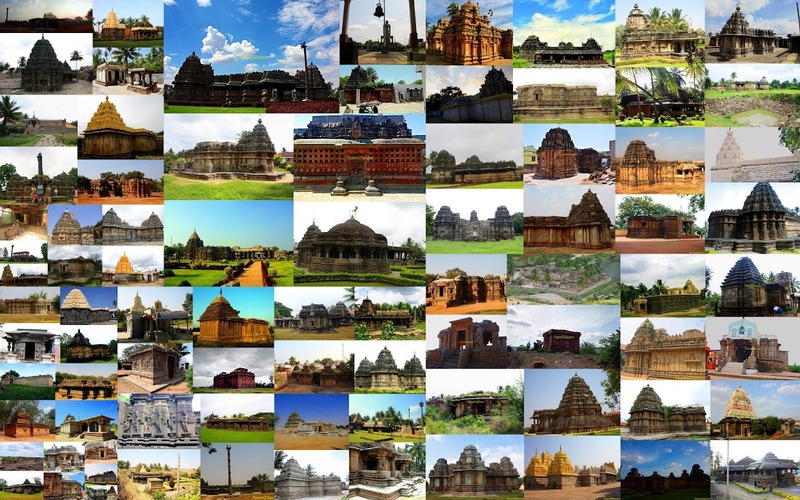 Gr8 coverage of Udaygiri temples associated with Gajapathis and Krishnadevaraya. Now looking forward for the jain cave temples. I want to visit again. that kalyani is simply so cool! 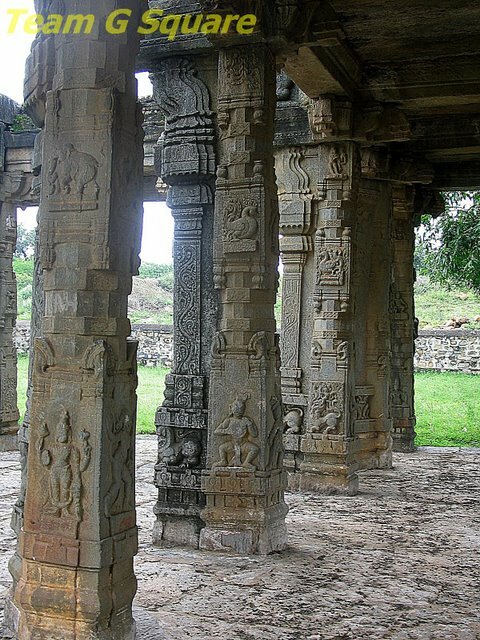 beautifully captured pillars, temples and landscapes... each and every photo stand out on its own! You have captured the beauty of nectar in stones so well... I feel so proud of our culture and heritage. Excellent.. This is one place, I am longing to visit..! Amazing beauty! Just leaves you spellbound!! Indian history, proud of the heritage, culture and architecture. Just came from a 4 day trip to Hampi. I am posting the pictures in my blog soon.I am unable to remember the photos for captions as I took nearly 120 of them being a senior!! !